Whether you’re storing beans, bullets, or bars of gold, you’ll need a secure place to keep these potential survival currencies. For a quick solution, you could purchase some expensive olive-drab burial vaults, but does it really matter what color they are if they’re buried in the ground? Follow these easy steps, and you can put together a PVC pipe vault for $15 or less. First, you’ll need a length of PVC drain pipe. Many stores sell pre-cut two-foot sections, but, if you’re planning to make several of these, it’s cheaper to buy an eight footer and cut it down. For each vault you’ll also need an end cap, a female threaded coupling, and a plug, plus some primer and PVC cement. Four-inch pipe and fittings give you a lot more interior room than three-inch line, but the cost of four-inch fittings is roughly double that of three-inch material. 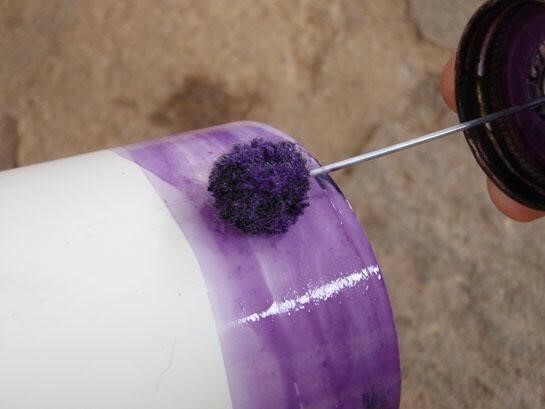 Apply your purple primer around each end of the pipe, inside the cap, and inside the female fitting (but not on the threads!). The primer dries very quickly. 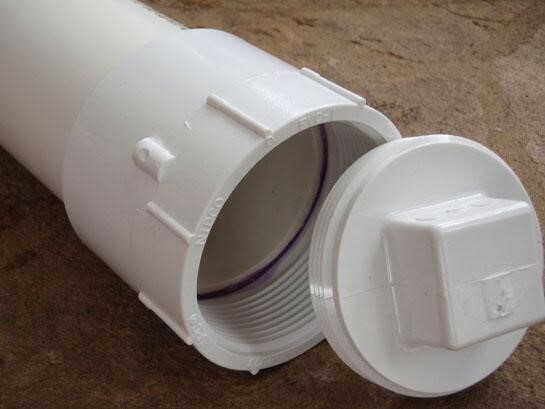 Once dry, wipe the cement around one end of the pipe and inside the end cap. Do this quickly, it sets up fast! Slide the cap on and press it onto the ground to force the cap on tightly. If you don’t apply pressure for 10 to 15 seconds, the reaction from the cement, primer, and plastic will actually push the fitting apart. Repeat this process with the female fitting, but push on it with the threaded section facing upward (solid cap on the ground again). This keeps cement from running down into the threads. Let the fumes clear out for a day before storing any food in the vault. Otherwise, wait a few hours for the cement to dry. Once you have filled your vault, screw the plug in place tightly. If you’re burying it in a damp area, use a little Teflon tape around the threads. Use pipe dope compound on the threads if you are burying it in a wet location. Use a permanently glued cap on each end if you are submerging the vault in water. After you fill your prepper-style treasure chest with loot, bury it in a smart, secure, and memorable location. Fake pet graves, flower beds, and under a mean dog’s doghouse are a few of my top recommendations. You can either bury it horizontally or, if you have a post hole digger, drive a hole straight down and drop it in. The vertical option means minimal surface disturbance and a smaller profile if someone comes along with a metal detector. Just make sure you can find it!